A South Carolina bill that targets transgender people appears to be dead for this legislative session. The bill sought to prohibit transgender people from using the bathroom that corresponds with their gender identity. 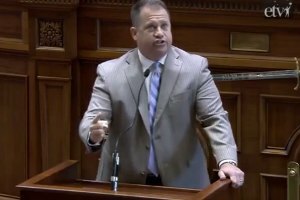 Republican Senator Lee Bright introduced the legislation after a similar bill was signed into law in North Carolina. Bright had previously defended his bill as “common sense,” saying that it was necessary to protect women and children. Bright told The State this week that he'll pursue a different approach when the state budget come up for debate next week. Bright said that he would propose banning state aid to local governments that enact legislation allowing transgender people to use the bathroom of their choice. “We'd rather have the full bill, but we'll take what we can get,” he said.